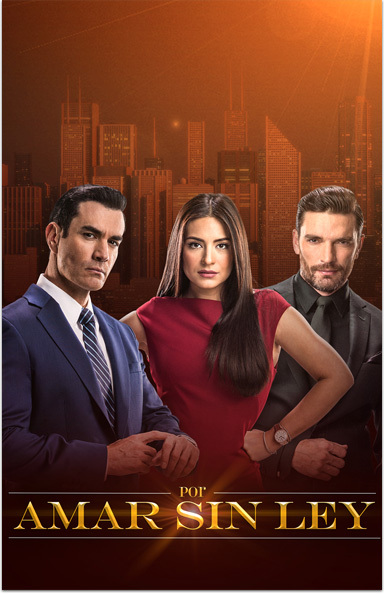 This story takes place at the “Vega y Asociados” law firm, where Mexico’s top lawyers struggle to do justice. They are Ricardo, Leonardo, Roberto, Olivia, Victoria, Benjamín, and Leticia, headed by renowned lawyer Alonso Vega. Here is where their personal stories merge with the cases they stand up for. Ricardo and Alejandra are two civil attorneys, but at the same time, they are a living proof that ethics and integrity do exist. It all begins when Alejandra is about to marry criminal attorney Carlos Ibarra without imagining that the happiest day of her life would turn into a nightmare as Carlos is arrested upon arriving to church, accused of murder. Alejandra is heartbroken and in deep sorrow knowing that the man she thought was the love of her life is in prison. Simultaneously, Ricardo, one of the prestigious Vega law firm’s partners, faces the same process many of his clients go through since he is getting divorced from his wife, Elena after she cheated on him. Little by little with the daily coexistence, a solid love will grow between them. So, after several issues and disagreements, Ricardo and Alejandra will discover that there is no law that tells how to love, such law can only be dictated by the heart. Image and logo of Por Amar Sin Ley reproduced with permission from Televisa, S.A. de C.V. All rights reserved. The titles and logos of Univision are the marks of Univision Communications Inc. Imágen y logotipo de Por Amar Sin Ley reproducida con el permiso de Televisa, S.A. de C.V. Todos los derechos reservados. Los títulos y logotipos de Univision son las marcas de Univision Communications Inc.